Open pores are a big nuisance and a universal problem.They are a result of excess production of sebum(our body's natural oil).The sebum is produced by the sebaceous glands in our hair follicle for the purpose of lubrication.So basically pores on face are the surface end of the hair follicle.The size of these hair follicles depend upon the width of hair and the amount of sebum being secreted.So oily skin especially the T-zone area is more prone to open pores. Various other factors like sun-exposure, pollution and genetics also contribute to the plague of open pores.These pores attract dust and debris overtime which leads to it's clogging and if left unchecked can lead to blackheads, because the debris might widen these pores and get stuck. There is no miracle cure for open pores but using a number of home remedies one can shrink these pores and eventually prevent them from becoming worse. Here's a simple home remedy to combat open pore.However there are no overnight miracles.Continued usage though will definitely yield results. Mix salt and buttermilk together to form a paste and massage onto clean face.After 10 minutes rinse off with cold water.Repeat it twice a day. A lot of people are under the misconception that face steaming will result in opening and unclogging pores.However I do not agree.In fact at times this may even aggravate your present condition.Stick to natural home remedies and avoid anything too extreme. How do you deal with open pores? A Simple and easy face pack for open pores !!! how long dyu think itll take to show any effect though? 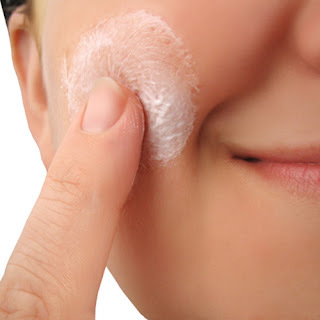 This is more or less a temp solution so you'll see results as long as you continue to do it regularly.Try using a salicylic acid based face wash if you have a major pore problem.